This comes back on a regular basis. Users asking how they can create an installation ISO with the latest VMware patches in it. In this post we’ll walk you through the process, we will learn How To SlipStream Latest VMware ESXi patches into an Installation ESXi ISO File. We have created a guide on this in the past, but as new information came in and the process had slightly changed, we decided to create a completely new how to post about it. As a result, you’ll obtain the latest ESXi installation ISO with the latest patches. This is not only useful when you’re doing a proof of concept work (POC) but also through your day-to-day operations, client’s installations or simply playing with VMware Workstation and nested ESXi hypervisors. VMware nested virtualization is still very popular as it allows you to spin an ESXi lab which does not need much hardware and still learn how to configure. Of course, if you want/need to run more than a couple of VMs, it’s better to install ESXi on dedicated hardware with more RAM. Running a home-lab on VMware Workstation is kind of running it on steroids. However, VMware Workstation allows using the same system as a gaming box or desktop workstation at the same time when you need to work on validation or you have some product which you want to learn more. Step 1: Download the latest ESXi patch from this location. When you go and download the latest patches from VMware patch portal, no need to worry whether you need to download all of them or not. Pick just the latest one as they are cumulative. You can also check our detailed post about How to install the latest ESXi patch. 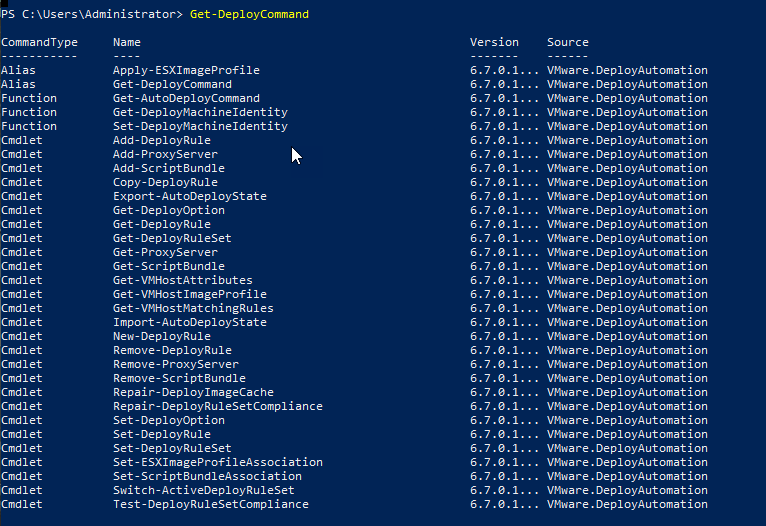 Note: the process of installing PowerCLI has changed. Now you have to uninstall the MS Installer MSI package (if you have installed it previously) and then only you install the PowerCLI via PowerShell. This is it. The modules are installed to $home\Documents\WindowsPowerShell\Modules. You can also check a VMware blog post on how to install VMware PowerCLI. Here is a list of modules which got installed. Step 3: Create a “temp” folder on your local drive and copy the latest patch there. You’ll get this as an output. Pick the “standard” one if you’re planning to use this ISO for installations (not for auto-deploy). You’ll create a new ISO file. I named it simply “ESXi-6.7-latest.iso” but you can perfectly name it differently and have an exact built number too. But for the purpose of this demonstration, it’s just fine. We have the new ISO created just next to the cumulative patch we downloaded from VMware. In fact, you don’t even need the installation iso. The latest cumulative patch as ZIP file can be used to extract and build the ISO. Well, this is about it. You might find it useful. It is important to know how things works if you’re learning VMware technology and you want to become VMware certified professional, it’s also useful to have a small homelab. Whether you want to have several physical hosts and shared storage or just a one big Workstation running ESXi or VMware Workstation, you can learn new features and new tricks. There are also other possibilities, like VMware Labs or Ravello for vExperts. You can search our blog for how-to’s and tutorial on that too. Important is to keep learning. 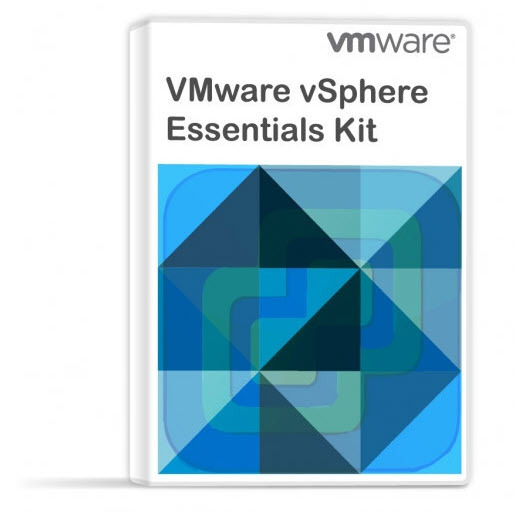 Check out other How-to articles at vSphere 6.7 Page. If you’re learning towards VCP-DCV 2019 Professional exam, follow the progress of the VCP6.7-DCV Study Guide page for further updates. Hey Vladan. I don’t think the first step is necessary. You can take the image out of the “patch” file and create an ISO without already having an ISO file. I also don’t think you referred to it in the process above. Finally someone noticed. Absolutely. Will correct it. Has anyone seen a variation of this process to cover slip-streaming the various Vendor Custom iso’s (i.e. HP Custom) with VMPatches plus the latest releases of drivers, agents and utilies to meet cookbook releases? How would the process differ with using a custom vendor ISO and auto deploy?